In Petition: The Court of Complaints, director Zhao Liang (pronounced Zhwow Le-ang) takes on a huge and important subject – the Chinese petitioning system. While the documentary fails to produce a cohesive story, it does successfully portray vignettes of a society very much in turmoil and tells the story of the many people left behind by China’s progress. imperial courts of the past. By ruling a large country through an authoritarian dictatorship, the Chinese central government inevitability leaves much discretion in the hands of local officials. But through the petitioning system, complaints of local official corruption will eventually make its way to top levels of government and allow the government to solve the problem, satisfy the aggrieved individuals, and by getting rid of corruption, solidify its rule. The petitioning system serves as a safety valve in a system that does not allow popular participation or protest. But as Zhao’s documentary successfully shows, the petitioning system, which receives over 5 million petitions a year according to Chinese statistics (many outside of China speculate that the number is closer to 10 million), is largely a failure. 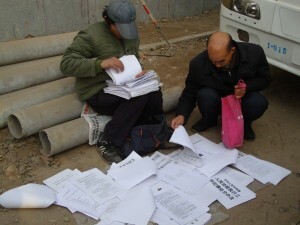 Zhao focuses on the thousands of petitioners who travel from the provinces to lodge their complaints in person with the highest petitioning body, the State Bureau of Letters and Calls in Beijing. But many of these petitioners are there for years, repeatedly getting the brush-off by state officials. With one petitioner, Qi, who is in Beijing to seek compensation for her husband’s death after local officials beat him, we watch her daughter, Ju’an, grow up before our eyes on the streets of Beijing. Only twelve at the start of the movie, Ju’an eventually leaves Beijing with her boyfriend and returns years later with her husband and son only to find her mother still petitioning. intimidation and violence. In one particularly troubling scene, Zhao films an overhead shot of a group of retrievers chasing and beating a single petitioner. Zhao also juxtaposes one scene of a petitioner discussing his case with another scene where the petitioner has a black, bloody eye after a day of beatings. Petition also raises the issue of forced psychiatric confinement of individuals the government deems “difficult,” something that is becoming more common in China. 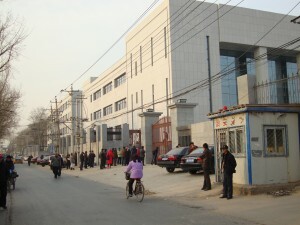 Petitioner Qi is repeatedly detained and forcibly sent to a mental hospital. Another petitioner describes the treatment at the psychiatric hospital – forced medication of drugs that have not been tested. After a stint at a Chinese mental hospital and a diet of untested anti-psychotic drugs, one wonders if these women are still in fact sane. While Zhao successful portrays many of the horrors of the petitioning system, he never describes if this system works for anyone or if there are any redeeming characteristics of the system. If the petitioning system is abolished, would that mean the people would be better off if this is their only outlet? At one point, Zhao shows a group of petitioners calling for democracy. 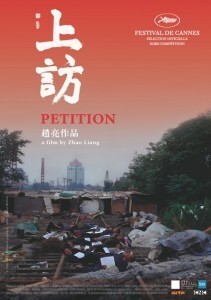 After a female petitioner is hit and killed by a train while running away from a group of retrievers, her neighbors in the petitioners’ tent village decide to launch a protest in her memory. Zhao films the rhetoric of some of these protest-petitioners, with many of them discussing the prevalent corruption, the need for transparency, and the desire for democracy. But these calls for democracy should not necessarily be seen as a new revolution in China. The petitioning system relies on the average citizen’s belief that the government system has failed on the local level but that the highest levels in Beijing still work; each petitioner thinks the same thing – if only President Hu Jintao could hear what I have to say, he would understand that this isn’t just a violation of my rights but is also terrible for our country. They have to believe this; if petitioners believed that the central government was just as corrupt as the local level, they wouldn’t petition. Zhao’s focus on these protesting petitioners and their calls for democracy are certainly attractive to a Western audience. But it’s unclear how these petitioners define their “democracy” and whether that democracy excludes a role of the Chinese Communist Party. While there is room for improvement (especially the 2 hour length), in all, Petition: The Court of Complaints is worth the watch if only to feel the frustrations of a multitude of people and to allow them to finally be heard. Unfortunately, as of March 3, 2012, Petition: The Court of Complaints is not available with English subtitles on DVD or for streaming. It appears that it may be forthcoming as part of a three-movie box set of Zhao Liang’s documentaries, however no pre-order option is yet available on Amazon: Zhao Liang Collection – 3-DVD Box Set (Petition / Crime and Punishment / Paper Airplane ) . For those who speak French, it appears that the three-movie box set is already available on the French Amazon website here (note that subtitles appear to be all in French). I saw many similar incidences in 2008 & 2010.We lived & traveled with Petitioners for approx 7 mos in an effort to resolve my Australian wife’s illegal 1998 court case.If anything plight of Petitioners is worse in 2017 by accounts coming from China.A brilliant documentary. Wonderful documentary, I enjoyed following the journey of those that are seeking justice and the struggles they face everyday for a better future. Korea had a similar system (sowŏn) in the 18th century. 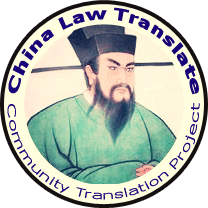 (Ti Tae-jin, _The Dynamics of Confucianism and Modernization in Korean History, 211) I will be teaching about it, in passing. I would like to mention the Chinese system, by analogy. Does anyone know during which dynasty the Chinese petition system originated? I would like to use this film in a university class I teach — can anyone have companion readings in academic or film studies journals? I’m thinking of showing it alongside a Chinese diaspora film, perhaps one of the great ones from Canada. Is this movie available yet in the US? The movie has been released in France by the INA. The DVD has English as well as French subtitles and contains 3 movies by Zhao Liang. Altough I was kind of let down after people talked it up too much, I still thought it was a pretty good watch. My sister loved it though. To each their own. Just wanted to say that this documentary was absolutely remarkable. Extremely painful to watch, but just fantastically effective and well-edited. Any updates on the release of this film to DVD? I would like to show it to my class. The movie is not yet released on DVD. Rumor has it that it will be released (with English subtitles) in April, but even that date might be pushed back. I will update the website once the DVD is available.